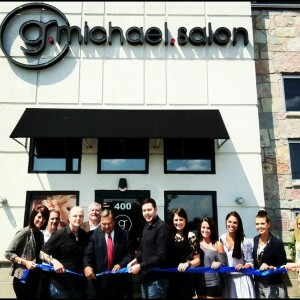 Today was a GREAT day for the Noblesville Indiana G Michael Salon team! 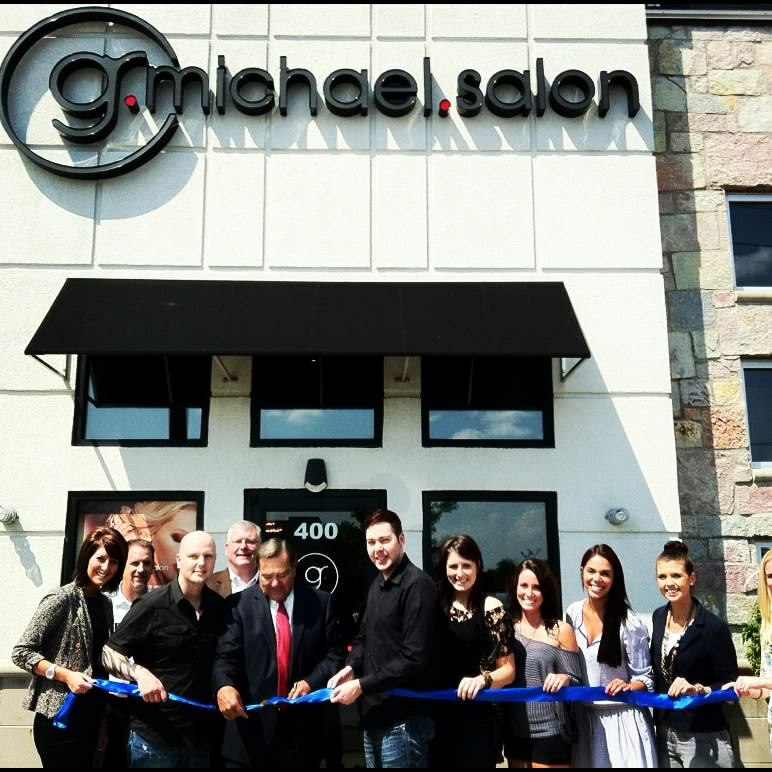 The Official Ribbon Cutting & Sign Unveiling Ceremony was held here today, at 3:30 pm with our friends, guests, staff, Mayor of Noblesville John Ditslear and the Noblesville Chamber of Commerce. We were so proud to stand in front of our building today and listen to the congratulatory words from our great Mayor and Chamber members, welcoming us to the city of Noblesville. Special Thanks to the Chamber of Noblesville as well as Mayor John Ditslear for taking time out of your busy days to celebrate this special day with us!